As well, they operate heavy equipment used in surface mining and quarrying activities and in material handling work. People in this career work for heavy equipment contractors, public works departments, as well as construction, pipeline, logging, cargo-handling and other companies. Work is done using various types of heavy equipment. 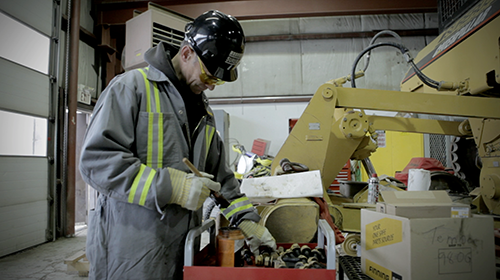 Working with machinery can be a source of injury. Work often takes place in hazardous locations such as construction sites and underground sites. Workers may be exposed to dust, noise and vibration. Completion of a one- to two-year apprenticeship program or some high school, college or industry courses in heavy equipment operating combined with on-the-job training are required. Trade certification is compulsory in Quebec and available, but voluntary, in Newfoundland and Labrador, the Northwest Territories and Nunavut. Internal company certification may be required by some employers.